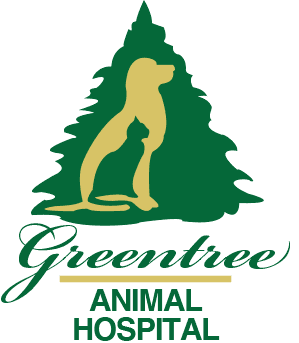 Greentree Animal Hospital is pleased to offer therapy laser treatments for pets to treat a variety of injuries, wounds, fractures, neurological conditions, numerous dermatological problems, and pain. 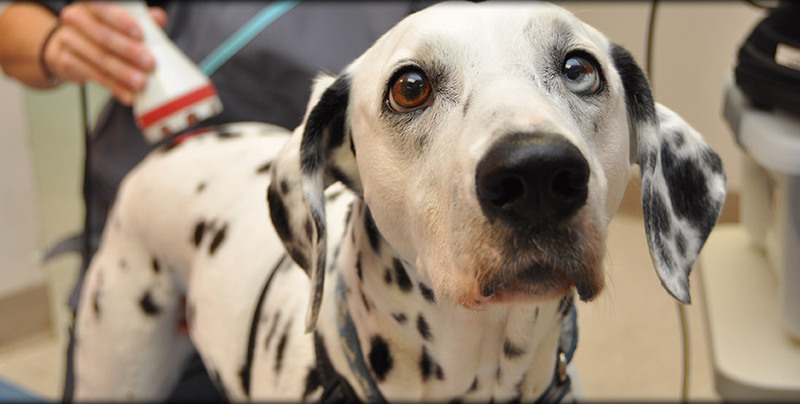 Laser therapy can provide relief and help your pet heal faster. Laser therapy can be used to treat a variety of illnesses and may help aging pets with arthritis feel better. Whether your pet is rehabilitating from trauma or injury, healing from wounds, or simply aging, the laser has been shown to provide relief and speed healing. We use a non-invasive hand piece to deliver the light to treat the affected area. We will place eye protection on your pet and our technician will also wear eye protection. You may also be asked to wear eye protection if you are close to the treatment area. We will move the hand piece over the area of treatment to assure the laser is being delivered to the area on your pet which needs improvement. Your pet will feel gentle and soothing warmth. As the laser is administered, many pets will relax. The light energy penetrates deep into your pet’s tissue—without damaging it—to induce a chemical reaction leading to healthier cells and healthier tissues. There are no known side effects with this treatment. Please give us a call today if you have any questions about laser therapy or whether laser therapy would be beneficial for your pet.